Summer holidays: Good for picnics, not so great for baking. Avoid heating up the kitchen by combining Jell-O Gelatin, cake and berries for a truly patriotic treat. Slice 1 cup strawberries; cut remaining strawberries in half. Add boiling water to gelatin mixes in large bowl; stir 2 min. until completely dissolved. Add enough ice to cold water to measure 2 cups. Add to gelatin; stir until ice is melted. Refrigerate 5 min. or until slightly thickened. Meanwhile, cover bottom of 13x9-inch dish with cake slices. Add sliced strawberries and 1 cup blueberries to thickened gelatin; stir gently. Spoon over cake. 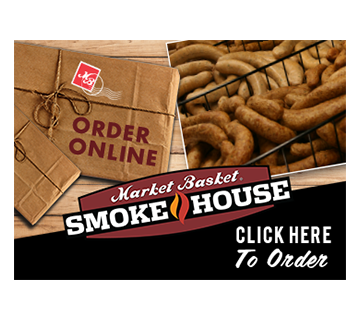 Refrigerate 4 hours or until firm. Spread COOL WHIP over dessert. 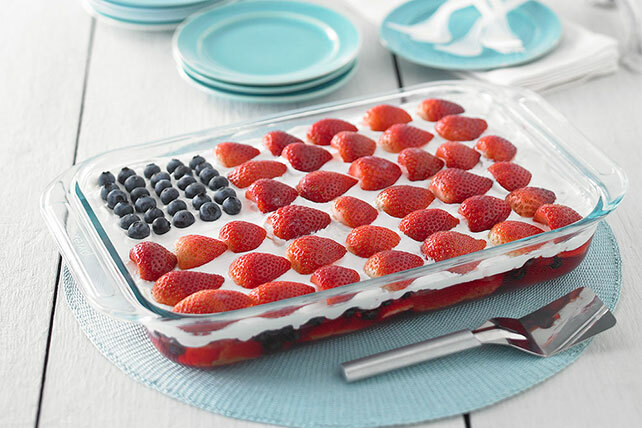 Top with fruit to resemble the flag, using strawberries for the stripes and remaining blueberries for the stars.